Welcome to Quality Training Services (UK) Ltd.
Quality Training Services (UK) Ltd is an Accredited ITSSAR (Independant Training Standards Scheme and Register) Training Organisation that provides industrial training courses for industrial lifting equipment for a range of companies across Leeds, Yorkshire and throughout the UK. We are one of the fore runners in the UK that promotes quality training in all aspects of operating industrial lifting equipment. We offer training courses for a range of equipment such as Forklift Trucks, Pedestrian Pallet Trucks, Abrasive Wheels, Mobile & Crawler Cranes, Lorry Mounted Cranes, Overhead Gantry Cranes, Excavators, Loading Shovels and many more. If you are based in Leeds, Yorkshire or anywhere in the UK we can travel to your site, this enables both instructors and operators to train in the environment that the operator will be working in upon successful completion of their training. 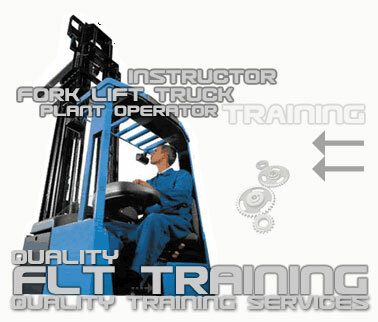 However, we can also carry out training courses at our site in Morley, Leeds Yorkshire. (Please see our News Page for further details). We pride ourselves on providing high quality training by our qualified and experienced instructors, with our help you will become an expert yourself in no time. After successfully completing the training course you will receive a certificate of training achievement which will confirm that you have been trained to ITSSAR standards. For more information on QTS and more details of the wide range of training and services that we can offer you please contact the undermentioned or fill in the details on our contact sheet. For more information regarding Courses, Duration and Numbers please see the headings which provides a syllabus for each course . Whether you need forklift, excavator or crane training we are always on hand to answer any questions you may have about any of our courses just call us on 0113 252 7689 or email us on info@qtsuk.com. We look forward to hearing from you!